Confidential Small Group Discussions with other PFLAG members - you pick the topics. 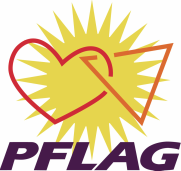 for their significant, ongoing support of the Colorado Springs PFLAG Chapter. NEW FEATURE: We are now able to accept credit cards for memberships and donations - secure, safe and easy! © Copyright 2019 Colorado Springs PFLAG - All Rights Reserved.